A gripping tale of a girl with a morbid ability that could lead her to a killer . . . and the boy who would never let anything happen to her. Sixteen-year-old Violet Ambrose is grappling with two major issues: Jay Heaton and her unusual so-called gift. 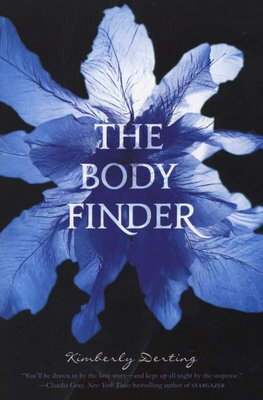 While her confusing feelings for her best friend are new, she has been able to sense dead bodies--or at least those that have been murdered--and the imprints that attach to their killers since she was a little girl. 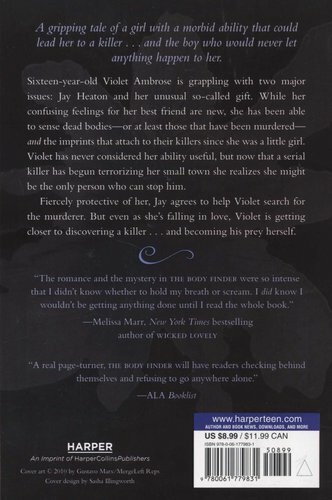 Violet has never considered her ability useful, but now that a serial killer has begun terrorizing her small town she realizes she might be the only person who can stop him. Fiercely protective of her, Jay agrees to help Violet search for the murderer. 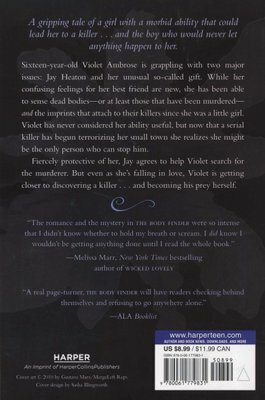 But even as she's falling in love, Violet is getting closer to discovering a killer . . . and becoming his prey herself.